This is a more hard-hitting read than Soldier Dog. I was in floods of tears at the end. It turned out that all the horrors of prejudice which Dodo and Wolfie put up with (or in Wolfie's case, since he focused on Hero, almost blissfully ignored) were nothing compared with the final incident. It was worse because it brought to mind similar incidents in history which I'd heard about. The love between Dodo and Wolfie is second to none. Having a bereft brother is heartbreaking. The ending is truly beautiful, and I like to think there was no more drama in their young lives as Dodo and Wolfie had already suffered more than most people do in a lifetime. Find out more on Sam's website. 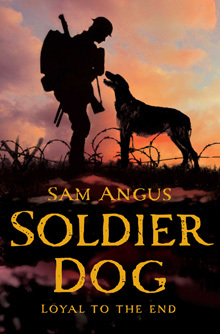 Be sure to read Sam's other book, Soldier Dog, about the first world war. Now, it is with great pleasure that I present answers to some questions Sam kindly answered for today's review! 1) Do you choose to use animals in your stories a way of exploring the topic of war while having something positive to focus on? 2) Have you heard a lot of eye witness accounts of what it's like having an animal during wartime? I've read a lot of accounts and memoirs, letters and diaries of all sorts of people who served with animals during the war, vets, muleteers, gunners, pigeon handlers, dog handlers, literally hundreds and hundreds of books and diaries. They don't always tell you want you want to know so you have to comb through a lot of first-hand accounts in order to get the detail that you need. 3) Which were the hardest parts of A Horse Called Hero to write? It's much harder to write about things that you haven't any experience of at all and of which there is very little first-hand documentation. 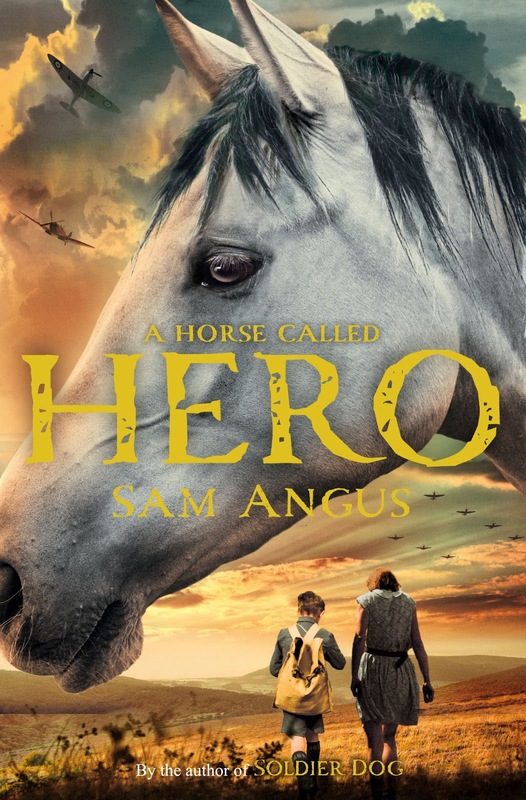 Writing about a young boy, trapped with a horse down an exploding coal mine was definitely by far the hardest part of A Horse Called Hero to write, though endings are always a challenge too. I've probably read every piece of documentation available on what it is like to be trapped in a mine during an explosion. I've always been a dog person, I understand them and love them whereas I find cats sort of sudden and unexpected and very slightly spooky. So I wouldn't be the best person to write about them though people do keep asking. 5) Where is your favourite place to write? I love to write at my desk. It's long and wide and made of walnut and it looks out over a leafy street, with a leafy garden behind it. The desk has to be completely empty of things except for the computer and the internet has to be switched off. I often write with my eyes closed and type very very fast and then surface every forty five minutes or so for a break. I can edit and tidy up later, by which stage I am usually too tired to write. Writing at my desk is my ideal, though a lot of the time, I write sitting in the car, or anywhere really where my children can't find me. 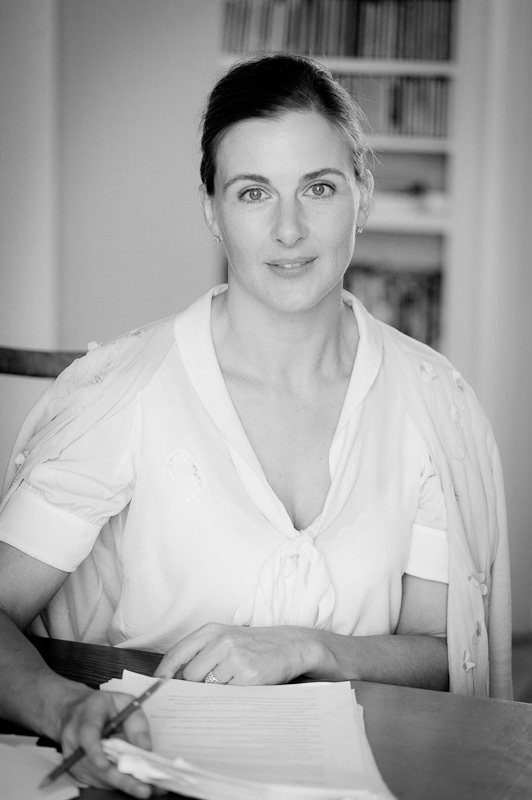 Your secret is safe here, Sam, unless your children read this interview! Thank you for your interesting answers Sam - whichever animal it is about, I for sure am looking forward to your next book!